Mohave elevation will come up for the spring. Look for the smallmouth bass to move up first followed by the largemouth. While the numbers of black bass are not as high as on Lake Mead, the quality is much better here. Try shallow points early in the spring for the smallmouth. 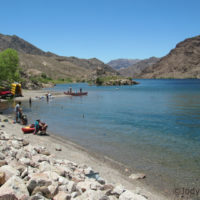 As the water continues to warm, look in the backs of coves on the Nevada side, keeping in mind that side warms up faster. Work PowerWorms and lizards very slowly. Give your bait a count of 10 after you cast before moving it. Striper fishing will also pick up during the spring. 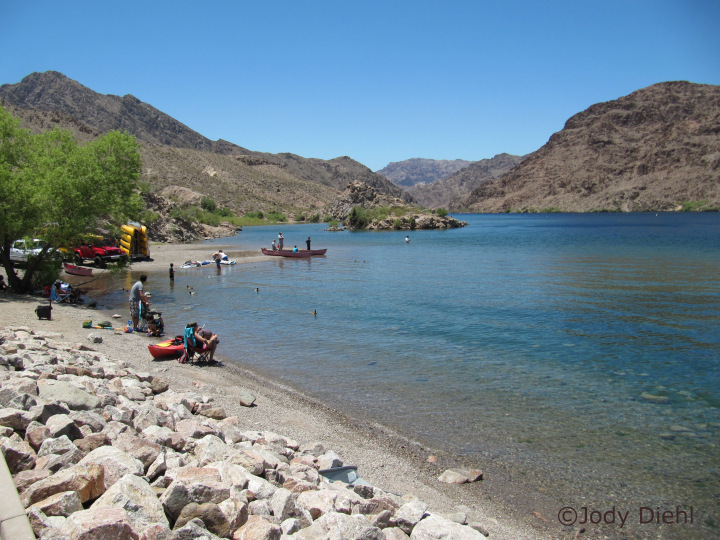 Try working the lake between Owl Point and Cottonwood Cove off Nevada side points.